Lindex faced problems when trying to initiate the development of multiple new digital channels, due to the monolith that powered the existing web channel and limitations of the team that supported it. Parallel client development was accomplished by choosing an API based approach for exposing functions. WSO2 API Manager was selected for management of clients, access control and usage limits were implemented. By complementing with WSO2 Identity Server, Lindex positioned its digital landscape for further transformation of customer identification and authorization. Using domain driven design and bounded context thinking has enabled them to change parts of the monolith at different speeds easily. 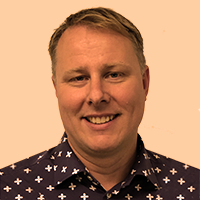 Johan Edling is managing application decisions in Lindex's digital transformation journey within the retail business. He has 20 years of experience in architecture, solutions design, and development of web based solutions. He is passionate about implementing DevOps at the organization level with truly independent teams.